The products in the ‘Green Me’ range are meant to be natural and eco-friendly. There is an emphasis on “formulations, textures and packaging [which have] an extremely high percentage of ingredients of natural origin”. The website states that the range uses eco-friendly paper, as well as recyclable plant-based plastic and wooden aspects. There are various products in the collection, including a BB cream, mascara, eyeshadow palettes, pencils for lips, cheeks and eyes, brow pencils, brushes and skincare. Both eyeshadow palettes in the collection come in a cream and light green cardboard box, with black writing. The front of the box provides the brand name, product name, shade name and weight (9 x 1g/net weight 0.035oz). Note: Please excuse the black mark on the top right hand side part of the box! I accidentally got some mascara on my finger when I was testing the mascara and swiped it on the box I was holding. Oops! The top of the box provides the product name and also the shade name. The back of the box provides the ingredients in various languages and recycling information. It states that the box is made from “Eco-friendly paper with citrus fruit organic residue, 30% post-consumer recycled, 100% green energy”. 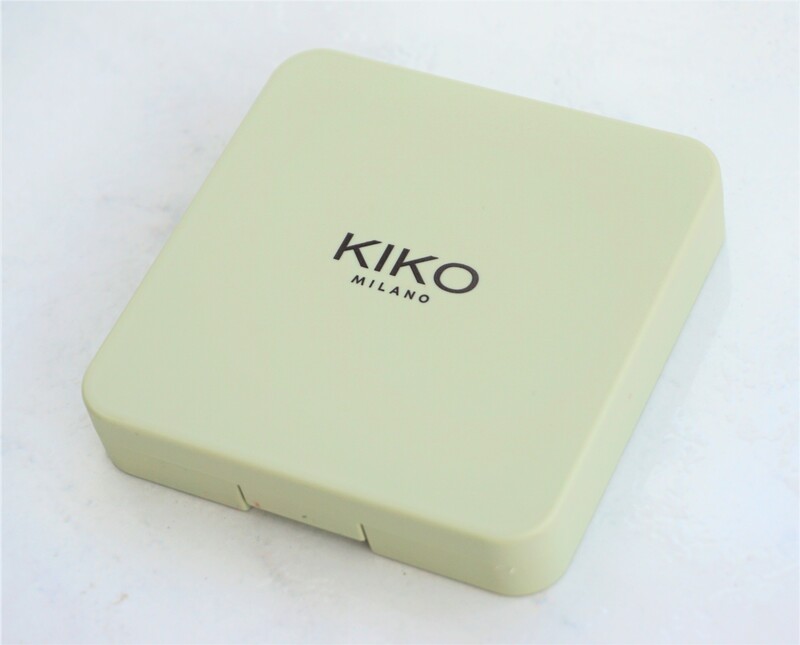 The eyeshadows are housed in a classic light green, square shaped plastic compact, with the Kiko brand name on the top. The back of the palette provides the same information as the outer box, including product name, shade name and weight. 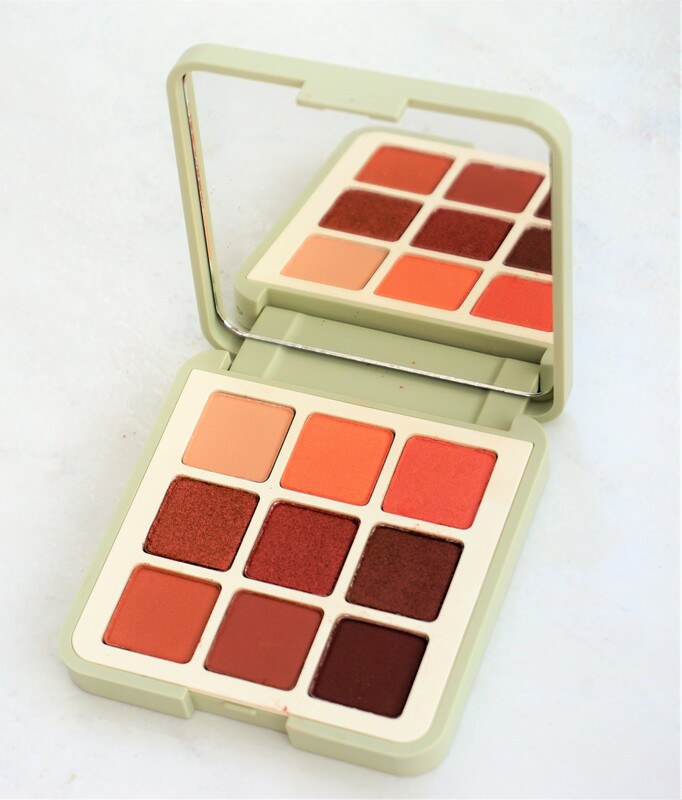 The palette feels good quality: sturdy, yet still light-weight to hold in your hand. There is a small lip to open and close the palette. It also makes a nice ‘click’ sound when you close it. The palette contains a large mirror on the underside of the top lid and the eyeshadows in the bottom section. The mirror is a really good size, as it pretty much covers the whole inside part of the lid surface. 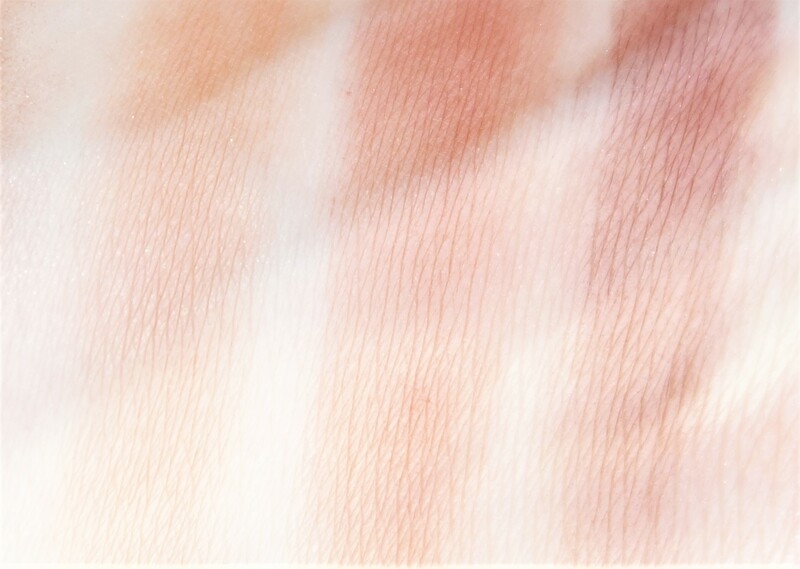 The palette contains nine eyeshadows, with three rows of three and a range of shades. There are two eyeshadow palettes available in the range: 01 Natural Credential (which contains pale creams, pinks, taupes and silvers) and 02 Feisty Saffron. I chose to get 02 Feisty Saffron as I found the shades inside really appealing: wearable, warm and with a fun twist. 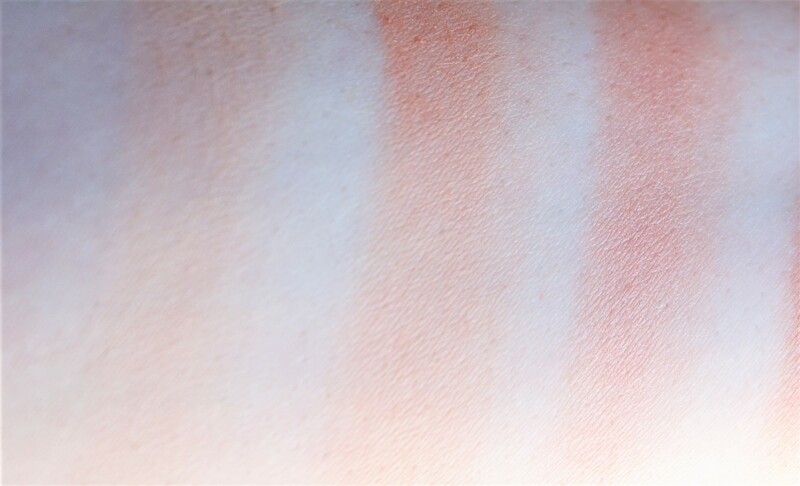 02 Feisty Saffron contains peachy, brown, rust and mahogany toned shades. The shades come in matte, satin and metallic finishes, making it possible to create a whole look with the one palette. I’ve created one look with the palette so far and felt the eyeshadows were very soft, blendable and easy to use. The shades maybe don’t show up as well in the swatches below (particularly the Bottom Row of deeper matte shades) but they show up beautifully when applied to the lids. I love the overall concept of the palette, from the size, large mirror, choice of shade and range of finishes. I can see myself reaching for this palette on days when I just want to create a look quickly with one palette or have fun playing around with shades that are in one place. I think this palette would also be great if you don’t have much make-up or if you don’t wear it that often, as it gives you lots of different shades that can work together in one small, tidy compact. 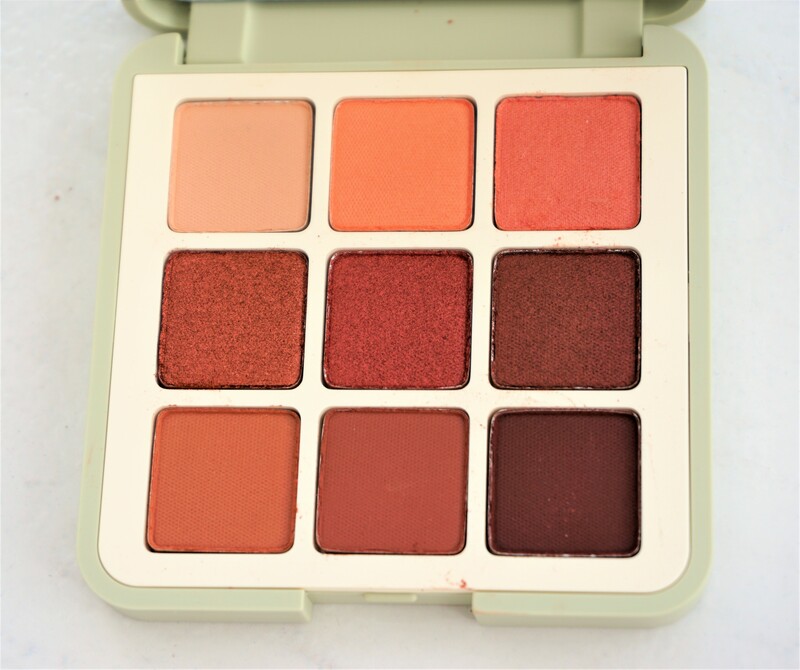 I love that the palette is small too, as it is very travel friendly. 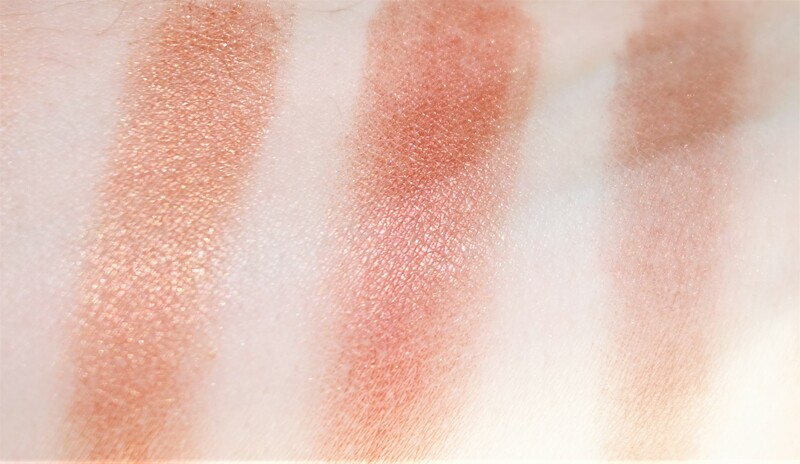 The palette really appealed to me, as the shades reminded me of the Urban Decay Naked Heat Palette and the Tarte Tartelette Toasted Palettes, but in a less expensive and much smaller format. The Kiko palette costs £12.90 (9 eyeshadows x 1g), UD Naked Heat costs £39.50 (12 eyeshadows x 1.3g) and Tarte Tartelette Toasted costs £36 (12 eyeshadows x 1.5g). You get 3 more eyeshadows in the UD and Tarte palettes, as well as slightly more weight-wise per eyeshadow, but that doesn’t really bother me. I like that the Kiko palette has a lower price point but I still get a good choice of shades and range of finishes. I really love that this particular palette has some similar shades to the Urban Decay and Tarte palettes but is much smaller in terms of the compact size. I have quite a few eyeshadow palettes and so having a palette which has a good shade range, as well as being petite in size, is a definite plus point for me. The eyeshadows are smaller than those in the UD and Tarte palettes but that doesn’t bother me for the reasons I’ve already mentioned (palette size, choice of shades and finishes, price point). If you have the UD or/and Tarte palettes and the Kiko palette, I would love to know how you think these palettes all compare to each other. 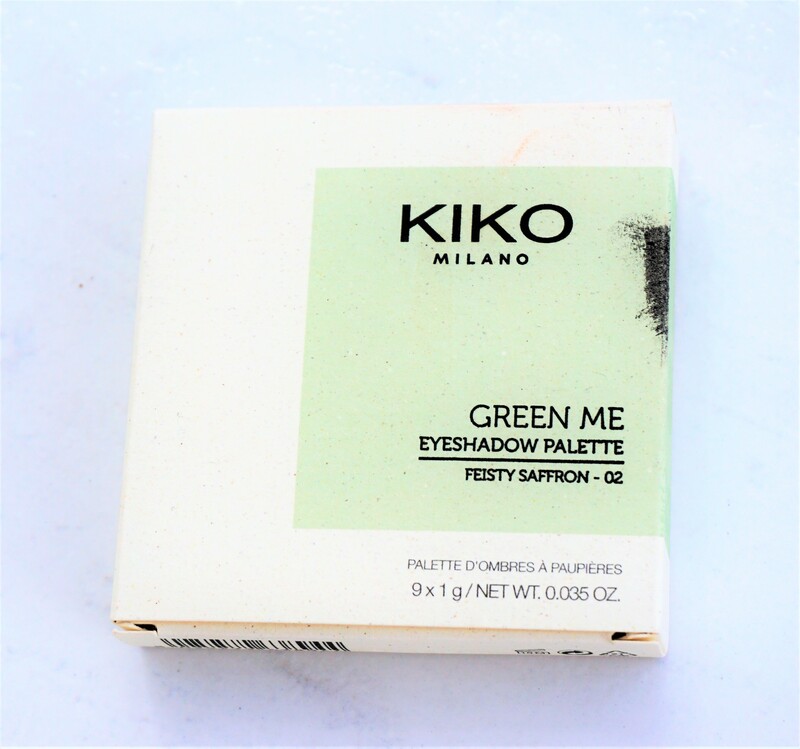 Kiko ‘Green Me’ 02 Feisty Saffron Palette costs £12.90 is available from Kiko stores and online. The palette – as well as the ‘Green Me’ collection – is limited edition, so it is worth picking up if you like it. Kiko sometimes reduces their limited edition ranges in store when they have been out for a while, so you might be able to save some money if you don’t mind waiting (and if you know they still have it in stock). 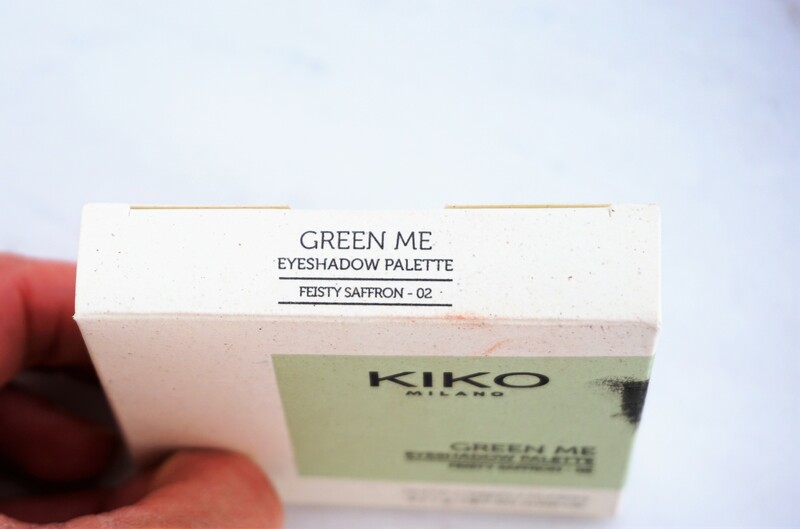 What are your thoughts on the Kiko ‘Green Me’ collection? Do you have the eyeshadow palette or any of the other products in the collection? Let me know your thoughts in the comments section below.